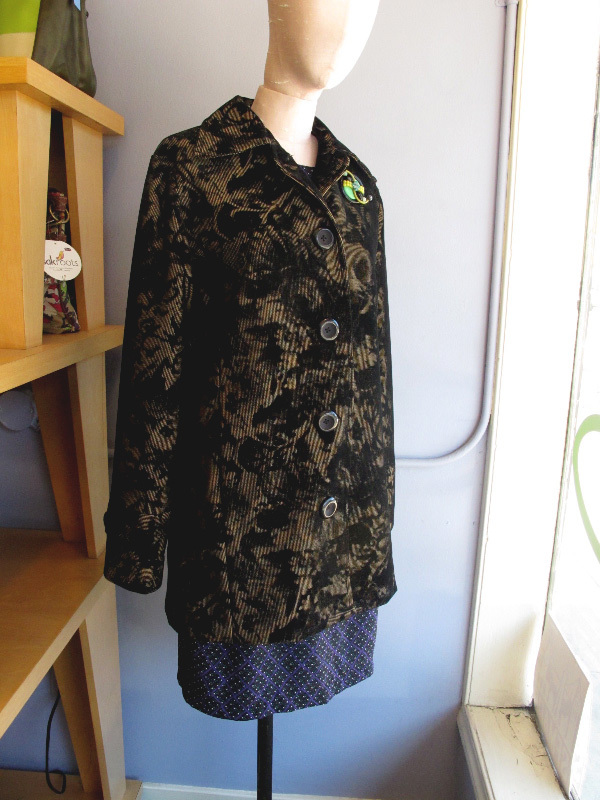 One of our favorite things about the summer to fall transition is that we get to make DEMA coats again! This year we made our popular Car coat in a fabulous flocked corduroy with a baroque pattern that looks absolutely fantastic on! We only made three so get them while they're hot!